Ethos – creativity, trust and fun. Why? It brings out the best in all of us. Plus, when you are in a confidential, respectful environment, you write what you know, and, sometimes, this means events in your own life. It can be a big step. There are always others on the course who are born actors, or so it would appear. They write with different characters that say and do ‘liberating’ things without the slightest intake of breath. That is the strength of a workshop. What happens here stays here and no-one can say for sure where the ideas have come from: fact, fiction or a mixture of the two with a big fat pinch of salt thrown in for good measure. We plan our workshops with care, limit the number of participants and then let the ideas interact with the dynamics of the group. The materials are just one reason the workshops are a huge success. The participants learn to trust each other and with this mutual respect and support comes great creativity. It is an inspirational and synergetic community and what is achieved is greater than the sum of the various parts. All quality writing is creative, be it fact or fiction. We bring out the quality. Many literary themes are all pervasive, blurring and overlapping; our workshops underline this. One exploration bumps into another and the analysis spring-boards to some other not too distant shore. Our answer is to introduce and consolidate, just as in conventional learning. We have created materials which introduce and practise distinct areas, but on closer analysis nothing can be shoved tidily in a box, nor is it necessary. It is important that no-one is overwhelmed and it is very possible that group members will have already come across much of the pedagogy. Others may not have realised that they have. In all instances the process of defining and highlighting is beneficial. The prompts and examples tempt us to experiment and that is what it is all about. The focus is on progress, not wasting time understanding the theory hidden behind metalanguage and pedagogy. We understand that different people learn and interact in different ways and that no single way is right. There is room in these workshops (and this world) for all of us! This workshop focuses on words, gestures, behaviours, actions and images. These are the powerful signals that suggest and reveal – the elements that create true conflict. Once we learn how to recognise these, we can use or eschew them at our command. We all know how we should ‘show not tell’ and how we should avoid adverbs that describe the action, (she wrote imploringly). So it is that we also highlight techniques to grab the reader with skill and finesse, with nuance and intrigue. Sometimes the subtext remains invisible, even to the character. This brings up questions of narrator credibility. Distancing techniques of first and third person can come in very useful at an early stage of our writing. At times first person is too close and personal for a reader. It reveals the denouement too early on. Or worse, the character’s action cannot be believed, too out of character for the writer to get away with it. We must avoid cheating the reader. We play with prompts and different situations sometimes by reading and commenting in a group, other times by speaking, (group-sourced story building), and even, occasionally, by writing quick scenes or outlines. Once the ideas come (and they do) some are taken up by individuals and some lay fallow by the literary wayside. Not to worry, plenty more where they came from. Improve your writing techniques, style and voice through peer group comments of largely unedited work and private written feedback from work shop facilitator. No more than twelve participants. For some courses, eight is the maximum. 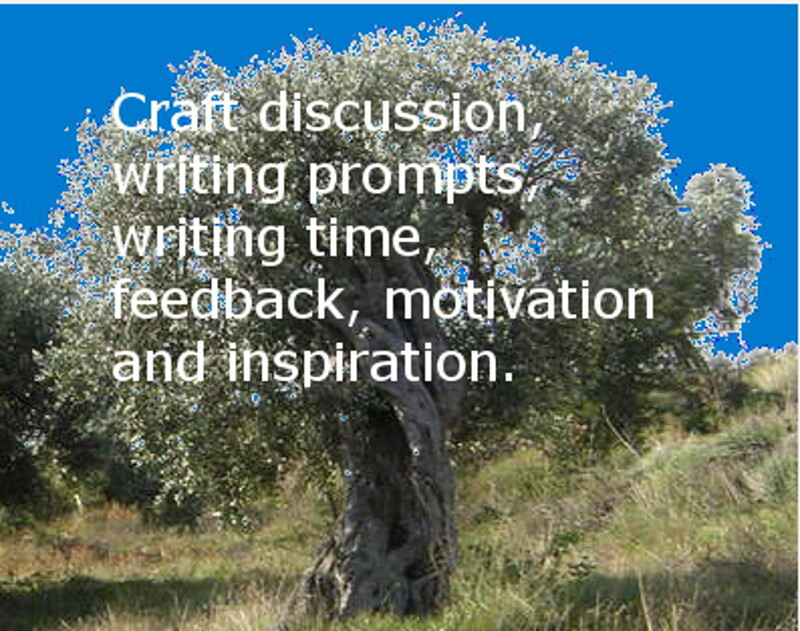 We ask for samples of your work in advance of the course to get an idea of your writing style.